While the laser specialist working with you will inform you of the importance of laser tattoo removal aftercare numerous times during your visit, we’ve compiled this must-do list for your convenience. Following the below guidelines will ensure that you are supplementing the work of our advanced Astanza Duality laser system and allowing your body to heal properly and produce the best results. -Do not soak the treated area in a lake, pool, or hot tub for three days to prevent infection. -Do not scrub the treated are until it’s completely healed. A light washing with soap while bathing is acceptable. -Clean the treated area immediately after exercising, sweating, etc. for three days. -Do not pick scabs! Picking scabs can result in scarring that makes future treatments less effective. -Avoid unprotected sun exposure for one month after treatment. Use SPF 25+ sunscreen when exposed to the sun. Additional aftercare information can be found here. 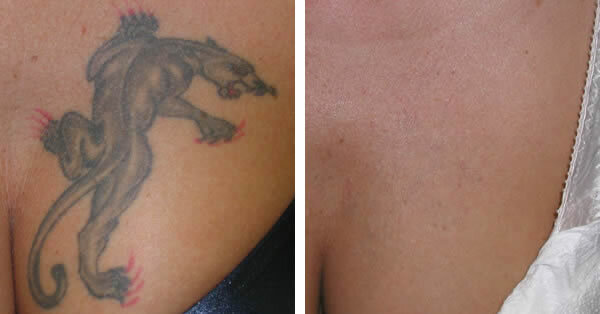 If any questions about side effects arise after your laser tattoo removal treatment, the specialists at North Houston Laser Tattoo Removal will happily answer them.